If you are confused as to which yoga asanas are best for you, read on and all your doubts will be cleared. Here we will discuss about various yoga asanas and their benefits, so that you can choose the correct asanas for you. Hatha yoga consists of yoga asanas that focus more on making you strong physically and mentally. ‘Ha’ means sun in Snasrit and ‘tha’ means moon. So it is a mix of opposites. It includes asana, nadi shuddhi pranayama and meditation. Lie on your back and keep your hands on your sides. Now lift your lags up so that your legs are at right angles to the floor. You can support your back with your palms. Now move your legs down from above your head. Stay in this pose for 15 to 30 seconds. Benefits: This pose makes your arms, shoulders, wrists, legs and ankles strong and also increases the blood circulation I the heart and head. It is also good for improving your digestion and increasing the capacity of your lungs. Start with Virasana. Now lace your hand on the floor in such a way that you can hold your arms with your hands. Place the crown of your head between your palms and then swing your legs up, so that your whole body is supported by your head. Stay in this pose for 30 seconds and then get back to the original position. Benefits: This provides a good stretch to your body including your abdomen. It helps in increasing the blood circulation in the heart and head and also improves your balancing ability. Doing this asana gets relief to women from the symptoms of menopause. It is also good for those who want to lose weight. Lie on your back and place your hands on your side. Now lift only your legs in the upward direction so that they are at right angles to the ground. Apply more force and swing your legs up so that your body weight is supported on your shoulders and head only. you can support this pose with your hands on the back. Stay in this pose for 30 seconds. Benefits: This makes your balancing skills sharp and also increases the circulation of blood in your heart and head. It is also good for the proper functioning of the thyroid glands and reduces fatigue as well. Symptoms of menopause are also reduces by doing this asana. Lie on your back with the legs straight and the hands on your sides. Now lift your chest region from the ground. Breathe normally. Slide your hands below your buttocks with the palms supporting your buttocks. Lift your upper body and let your crown touch the ground. Remain in this pose for 30 seconds and then relax. 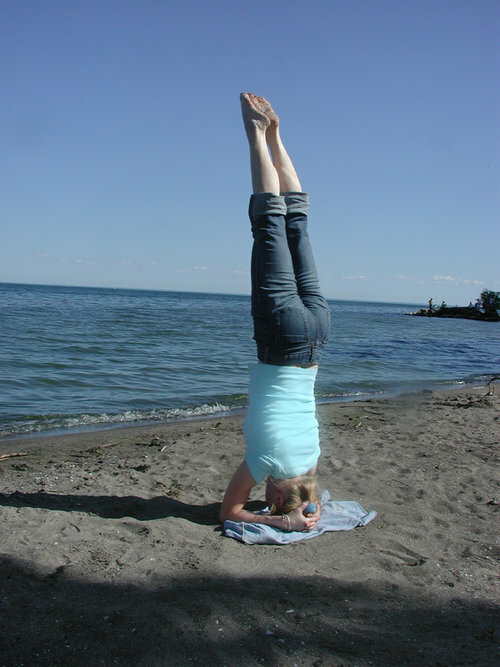 Stand in Tadasana pose with 6 inches gap between your legs. Breathe deeply and bend your body from the waist to touch your toe with your fingers. Take care not to bend your knees. Close your eyes and stay in this pose for 30 seconds. Benefits: Improves digestion and blood circulation as well as provides a good stretch to your legs, arms, shoulders, belly organs, chest, knee and ankles. You also get relief from joint pains. Lie on your belly on the floor and place your hands on the sides of your chest. Your palms should touch the ground and the legs should be straight, with the upper part of the feet touching the ground. Now lift your chest from the floor while you keep your hips firm. Remain in this pose for 30 seconds to 1 minute. Benefits: This asana provides a good stretch to various body parts and gets you relief from sciatica pain. It is also good for making your buttocks firm and to enhance the functioning of your abdominal organs. This is a perfect asana for those who want to lose belly fat. Lie down on the floor on your belly and place your hands on the ground, on either side of your chest. The palms must touch the ground. Keep your legs straight and the upper part of your feet must touch the ground. Lift your head, and then the upper part of your body, thighs and legs from the ground, so that your body rests on your belly. Stay in this pose for 30 seconds. Benefits: It improves the posture of your body and stretch your body parts. You can increase your endurance power and lung capacity by doing this asana. 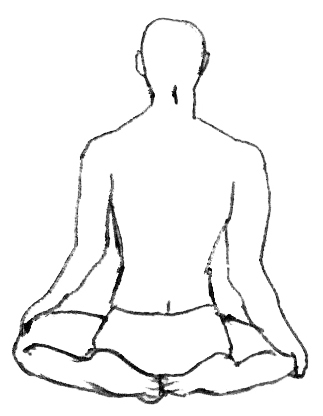 Take Vajrasana pose. Let your hands rest on your knees and then place your feet in such a way that the upper part of the feet touch the ground and your hips touch the soles of your feet. Let your back be straight. Now exhale and bend forward from your waist so that your forehead touches the floor. Stay in this pose for 30 seconds. Benefits: This asana is good for diabetic patients and also improves your body structure. Your knees, spine, thighs, ankles, arms and shoulders are strengthened by doing this. It is also good for increasing blood circulation and digestion. Lie on your belly and then bend your legs at the knees. Lift your leg and the knees upwards and hold your feet with your hands. Stretch them as you lift your chest in the upward direction. Stay in this pose for 30 seconds. Benefits: This makes your body parts strong and increases the circulation of blood. It is also good for your thyroid and thymus glands. 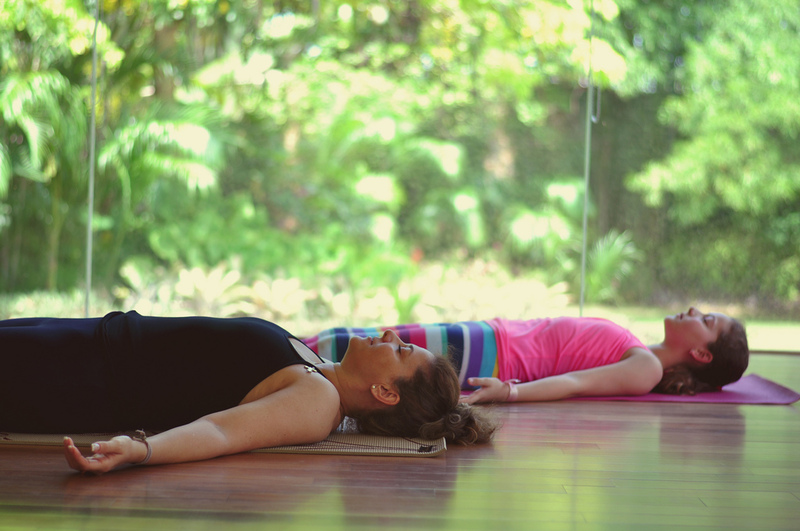 Lie on the floor and spread your legs and hands on the floor in a relaxing pose. Relax your whole body and close your eyes. Feel yourself completely relaxed and concentrate on your body and breath. Relax your body, mind and soul. Stay in this pose for 5 to 10 minutes. This is called deep relaxation. Benefits: Gets you relief from stress and depression and calms your brain. It also increases blood circulation gets you relief from minor body pains. This asana is a cure for many diseases and also repairs tissues and cells. Vakrasana and Bakasana are other asanas you can practice. Pranayama is also very important for completing your yoga session. You will benefit a lot by practicing hatha yoga asanas and pranayama at home.